As I wander around Facebook I’m hoping to find more than cute pictures of cats and pictures of people’s food. I look for glass. Stories about glass. Something interesting and different and since quite a few of my friends like glass too I do find some fabulous stuff. Here’s something like that. 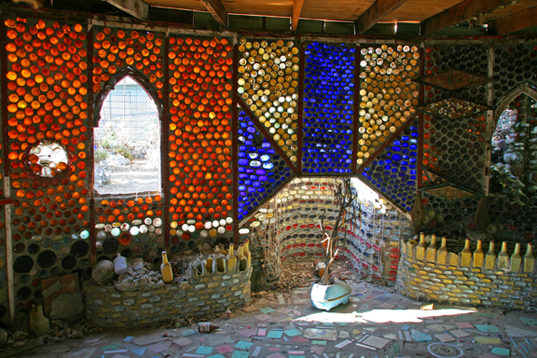 Pictures of a town Grandma built with bottles provided by StumbleUpon. The pictures are wonderful. Go look. Now. I was raised in Simi Valley. Sis still lives there. We’ve visited it many times. It’s Beautiful!